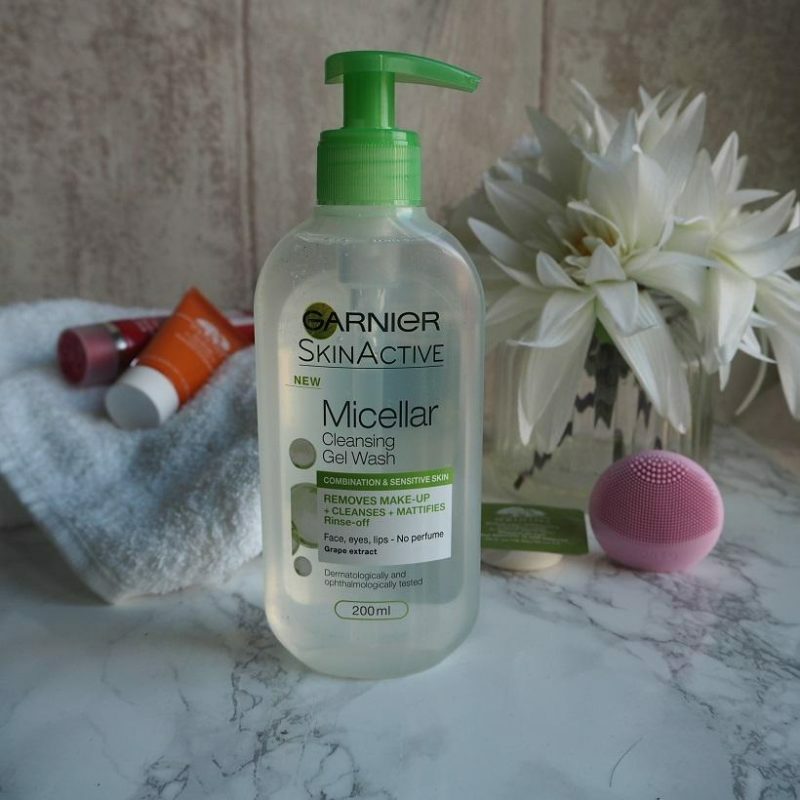 Recently added to the Garnier Micellar family, the Miceller Cleansing Gel Wash offers the effects of the original Micellar water in a more traditional face wash format. On using the Micellar Cleansing Gel Wash, I wasn’t sure what to expect to be honest. Slightly thicker than water but far from a gel texture, the wash doesn’t foam too much so you have to be quick getting it from your palm to your face. As the product doesn’t foam in the traditional sense it won’t be as drying to the skin as you’d expect. Dissolving a full face of heavy make up in mere seconds, the results are impressive to see for something so unassuming. It made light work of my thick full coverage foundation and red lip stain. Effortless to use over the eyes, there was no rubbing or pulling at the skin required. There was slight stinging to the eyes though. 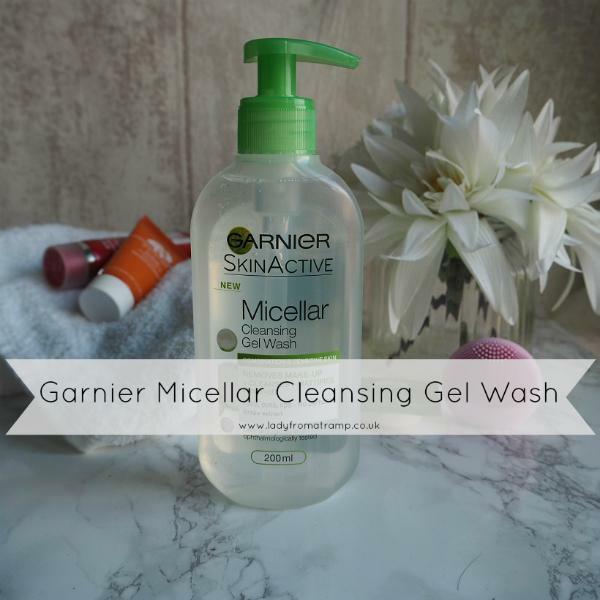 My sensitive skin handled the Micellar Cleansing Gel Wash well with no reaction or issue. Skin felt soft and cleansed after use and it sat well with the rest of my skincare regime. Retailing at around £4, you can pick this up on offer regularly for £2.60ish so it is worth a try. Skincare guru’s will be balking at this concept, I know. The Micellar Cleansing Gel Wash is for customers wanting to step in to skin care, moving up from wipes and the regular Micellar water. 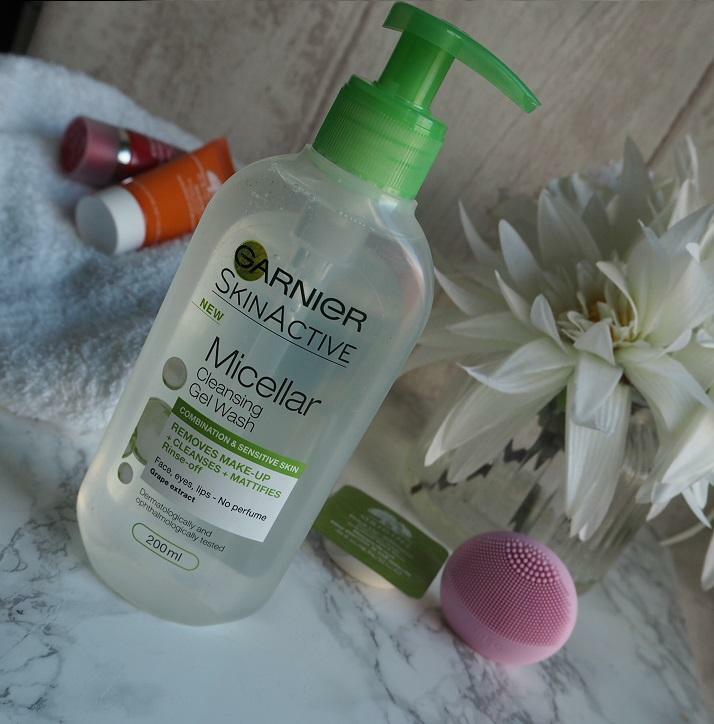 Have you tried Micellar waters yet?